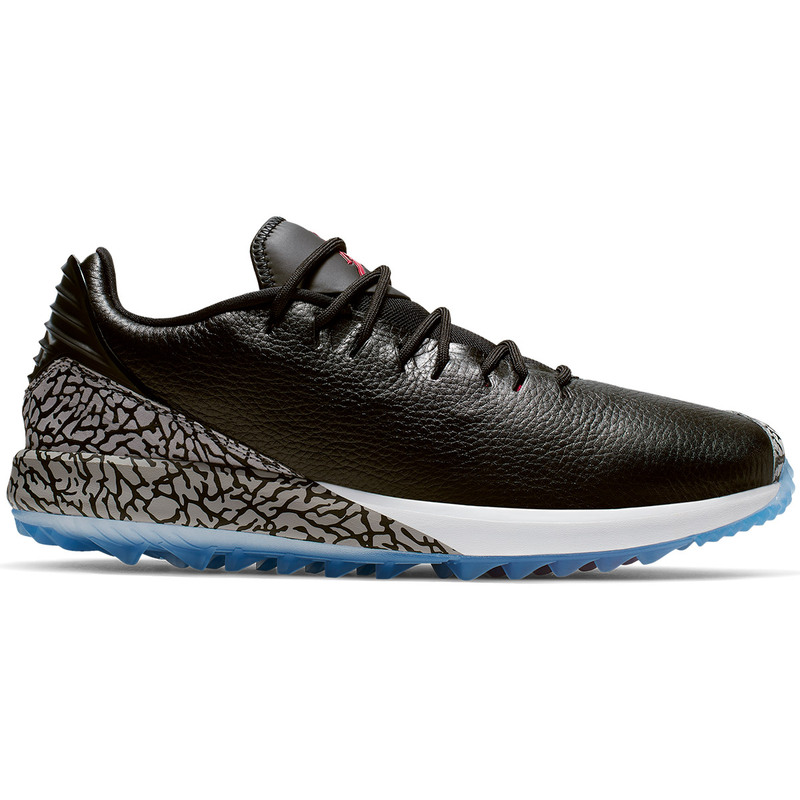 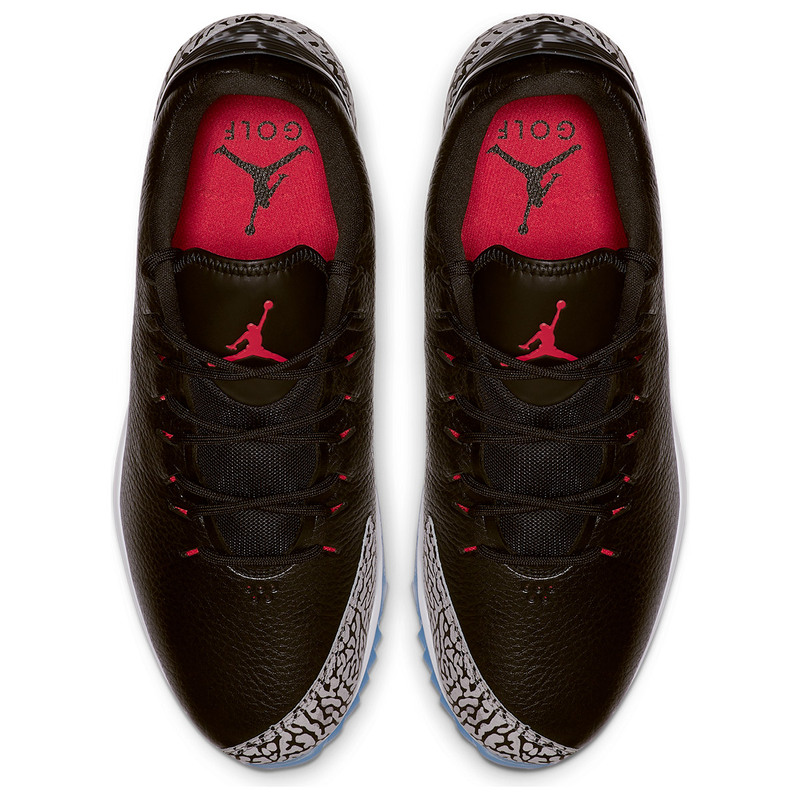 These high-performance golf shoes have been designed with a premium leather upper for long-lasting durability, with legendary Jordan elephant styling to create a whole outlook to the game of golf. 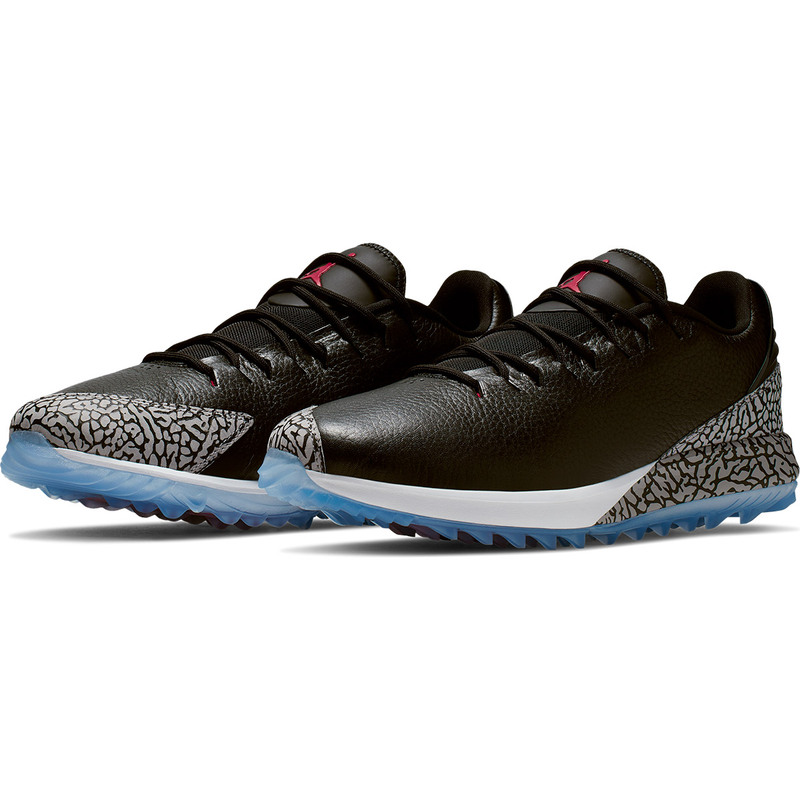 ADG optimises both feel and cushioning, thanks to its plush foam injected Phylon midsole with is flexible to move naturally as you power through the golf swing and a Zoom Air unit to give you responsive cushioning for added comfort. 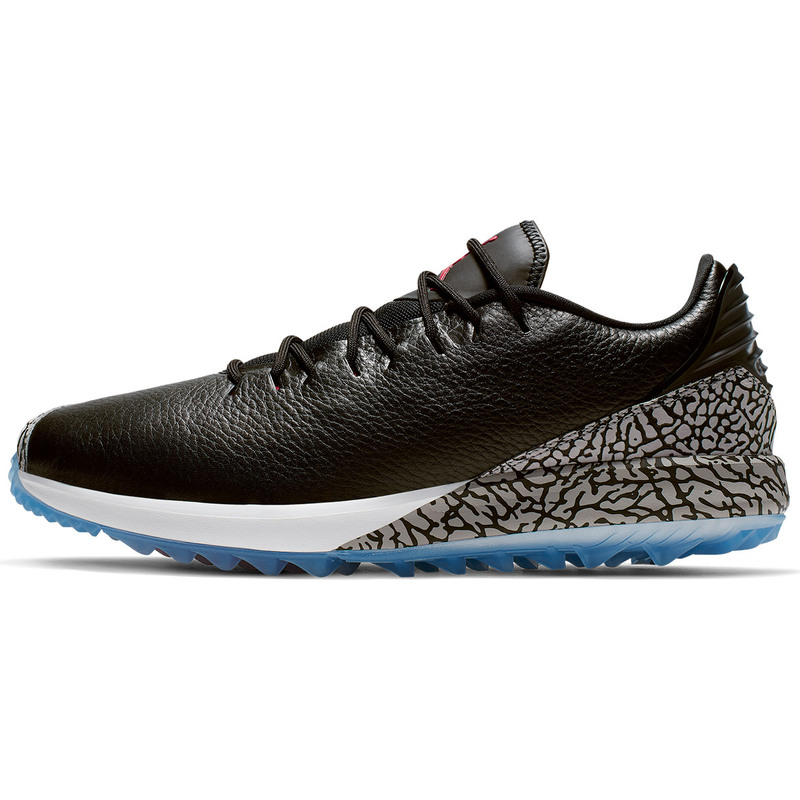 The shoe has a premium leather upper material, with an interior sleeve to wrap around your foot and integrated lacing system to provide a secure and supportive fit. 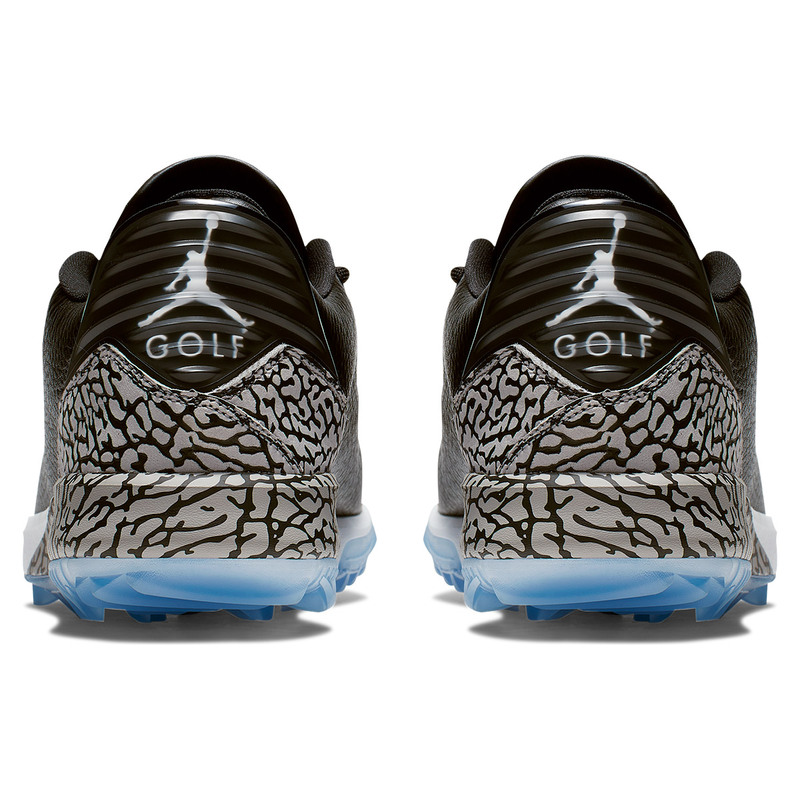 The shoe features an integrated traction pattern which enhances grip, this is perfect for off-course activities too so there is no need to change before or after your game of golf.